Stewards spoke to Mr. A. Ferguson, the trainer of Undercover Viv regarding the length of time the greyhound has had between races. Undercover Viv last raced on 18th February, 2018. Mr. Ferguson stated that the greyhound was returning to racing after being on season. Mr. A. Ferguson, trainer of Undercover Viv declared a new weight of 29.4kgs for the greyhound in accordance with GAR 39(2). Undercover Viv last raced at 28.1kgs. Undercover Viv was slow to begin. Macalister Tiger and Belleperi Miss collided soon after the start checking Belleperi Miss. Ragadeen, Rockin' Bar Lil and Tolga collided approaching the first turn checking Rockin' Bar Lil; Rockin' Bar Lil contacted the running rail approaching the first turn checking Belleperi Miss and causing Blue Bar Pie and Undercover Viv to race wide. Ragadeen and Tolga collided on the first turn checking both greyhounds. Tolga checked off Ragadeen approaching the home turn. Blue Bar Pie and Undercover Viv collided entering the home straight checking both greyhounds. Rhyan's Return was quick to begin. Flash Frankie was slow to begin. Rumbling Bajooks and Emilia Mel collided soon after the start checking Emilia Mel. Rhyan's Return and Paisley collided on the first turn checking Rhyan's Return, Rumbling Bajooks, Flash Frankie, Hundred, Dr. Gammiris and Emilia Mel. Hundred checked off Dr. Gammiris approaching the home turn. Hundred and Dr. Gammiris collided on the home turn checking Hundred. A sample was taken from Paisley - the winner of the event. A pre-race sample was taken from Adonis Rose. Zipping Tiara was quick to begin. Savannah Icon went up with the lids at boxrise. Zipping Tiara crossed out on the first turn checking Lakeview Grace. Crossfire Icon, Spin The Trolley and Where's Lachie collided on the first turn checking Spin The Trolley and Where's Lachie. Adonis Rose galloped on Zipping Tiara entering the back straight severely checking Savannah Icon which lost considerable ground. Where's Lachie checked off Lakeview Grace in the back straight. Lakeview Grace and Where's Lachie collided on the second turn severely checking Where's Lachie. Zipping Tiara galloped on Adonis Rose approaching the home turn and on the home turn. Zipping Tiara and Adonis Rose collided several times entering the home straight checking both greyhounds. Crossfire Icon and Zipping Tiara raced wide in the home straight. Savannah Icon was vetted following the event. It was reported that there was no apparent injury found. Zipping Tiara was vetted following the event. It was reported that the greyhound sustained an abrasion to the left elbow. No stand down period was imposed. Stewards spoke to Mr. S. Trotman, the representative of the greyhound Zipping Tiara. Stewards deemed the performance of Zipping Tiara unsatisfactory in this event and acting in accordance with GAR 71, Stewards directed that Zipping Tiara must perform a Satisfactory Trial (all tracks) before any future nomination will be accepted. Flywheel Strike was slow to begin. Sisso's Joy, Omega Vera and Dr. Mortikye collided approaching the first turn checking Sisso's Joy and Omega Vera. Sisso's Joy checked off Omega Vera on the first turn. Dr. Sherlock and Alabar collided approaching the home turn checking Dr. Sherlock. Two Dollar Pots and Cosmic Yessam collided soon after the start. Two Dollar Pots and Cosmic Yessam collided on the first turn checking Two Dollar Pots. Spring Bobbi and Heard It Before collided on the first turn checking Heard It Before. Stewards spoke to Mr. D. Douch, the trainer of Petadale regarding the length of time the greyhound has had between races. Petadale last raced on 28th December, 2017. Mr. Douch stated that the greyhound was returning to racing after a wrist injury and a change of kennels. Mr, M. Clohesy, trainer of Wadelock Mindy declared a new weight of 24.8kgs for the greyhound in accordance with GAR 39(2). Our Mojo last raced at 25.9kgs. Petadale was quick to begin. Lakeview Maisey and Wilburn collided soon after the start checking Lakeview Maisey. Wadelock Mindy and Demand A Panda collided approaching the first turn checking Wadelock Mindy. Mepunga Bonnie and Demand A Panda collided approaching the first turn checking both greyhounds. Mepunga Bonnie galloped on Demand A Panda on the first turn causing both greyhounds to lose ground. Wadelock Mindy and Lakeview Maisey raced wide in the home straight. A sample was taken from Petadale - the winner of the event. Pursuant to GAR 104 (6). Parade Steward Mrs. S. Tyler did not act in any official capacity for this event. Crash Cobra, Silvio Dante and Bella's Ghost were slow to begin. Silvio Dante and Our Delta Rose collided soon after the start checking Silvio Dante. Rose Rose and Zebo Bale collided on the first turn. Crash Cobra and Our Delta Rose collided on the first turn checking Our Delta Rose and Silvio Dante. Crash Cobra checked off Rose Rose on the second turn. Crash Cobra and Bella's Ghost collided on the second turn. Dava Supreme and Dreamy Julian collided approaching the home turn checking both greyhounds. Just Love was quick to begin. Totally Bullish was slow to begin. Double Black and Racey Rose collided approaching the first turn checking Double Black. Insanus and What's Up Skip collided approaching the first turn checking Country Gal, Insanus and Racey Rose. Insanus checked off Totally Bullish in the home straight. Soda King was slow to begin. Miss Dee Meadows, Fear The Boss and Gotcha Mate collided soon after the start checking Gotcha Mate. Fear The Boss and Soda King collided on the first turn checking Soda King. Dat Dat Daty and Bernardo collided approaching the home turn. Bernardo checked off Jimmy Vella entering the home straight. Bernardo and Jimmy Vella collided in the home straight. A sample was taken from Inside Game - the winner of the event. Ms. M. Payne, trainer of Our Mojo declared a new weight of 32.9kgs for the greyhound in accordance with GAR 39(2). Our Mojo last raced at 31.6kgs. Maderra was quick to begin. Our Mojo was slow to begin. Apila Cash and Painted Elvry collided soon after the start checking Apila Cash. You Never Know, Lonesome Katie and Vladimir Rose collided approaching the first turn severely checking You Never Know and Lonesome Katie. Painted Elvry and Our Mojo collided on the first turn checking Our Mojo. Stewards spoke to Mr. A. Kleeven, the representative of Zinda Neveelk regarding the length of time the greyhound has had between races. Zinda Neveelk last raced on 11th January, 2018. 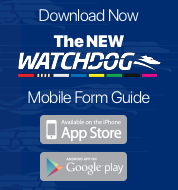 Mr. Kleeven stated that the greyhound was returning to racing after a spell. A pre-race sample was taken from Go Wilma Go. Satisfactory Trial Results (GAR 77A) - Stewards spoke to Ms. Joy Mills, the representative of Fancy Minter regarding the length of time since the greyhound last raced. Fancy Minter last raced on 7th November, 2017. Ms. Mills stated that the greyhound was returning to racing after whelping. Pursuant to GAR 77A Fancy Minter trialled over the 440m from box 1, weight 27.1kgs, the greyhound was placed 1st in a field of 4. The time of the trial was 25.29, the greyhound won by a margin of 2.25 lengths. Fancy Minter was Cleared. Satisfactory Trial Results - Macalister Cindy trialled over the 440m from box 8, weight 28.0kgs, the greyhound was placed 4th in a field of 4. The time of the trial was 25.29, the greyhound was beaten by a margin of 13.25 lengths. Macalister Cindy was Cleared. Macalister Cindy was severely checked on the first turn. 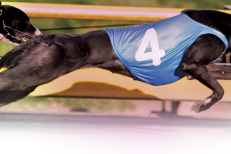 Satisfactory Trial Results - Golden Gloves trialled over the 440m from box 5, weight 31.7kgs, the greyhound was placed 2nd in a field of 4. The time of the trial was 25.29, the greyhound was beaten by a margin of 2.25 lengths. Golden Gloves was Cleared. Club Representative Mr. R. Stephen advised stewards that the track was deeply harrowed on Thursday 24th May 2018.